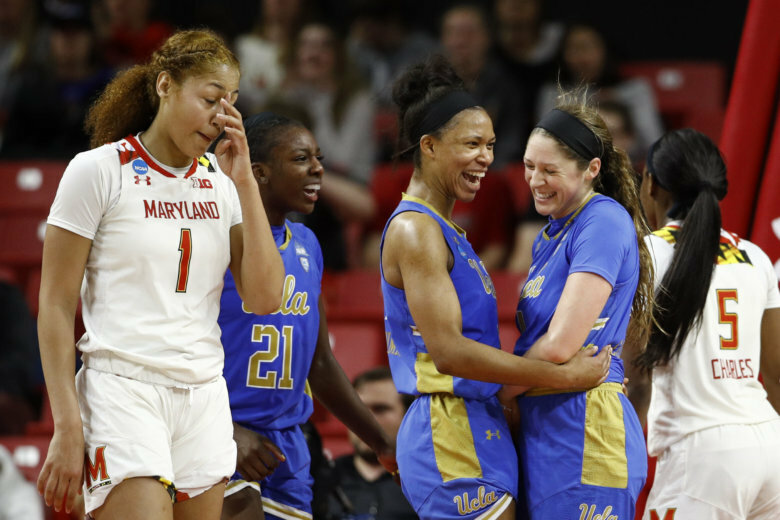 For the second straight year, the Maryland women's basketball team was eliminated in the second round of the NCAA Tournament, falling 85-80 to UCLA. Just like the men’s team, the Maryland women’s basketball team’s NCAA Tournament run came to an end after just one win. The third-seeded Terps scored only nine points in the fourth quarter and fell 85-80 to 6-seed UCLA in College Park Monday night, their second consecutive second-round exit. Kaila Charles led Maryland with 23 points and eight rebounds, and Shakira Austin added 15 points, 10 rebounds and six blocks. However, the Terps shot just 1-for-13 from 3-point range and missed 10 free throws (15-for-25). Maryland led 76-74 in the fourth quarter before UCLA’s Kennedy Burke grabbed an offensive rebound and scored on a put-back. Teammate Lindsey Corsaro followed with a three-point play with 3:34 left. That was a theme throughout the night; UCLA ranked first in the Pac-12 and third in the nation in offensive rebounding, and repeatedly gathered in their own missed shots and turned them into baskets. UCLA collected 27 offensive rebounds and finished with 27 second-chance points. The Bruins also made 20 of their 21 free throw attempts and made seven 3-pointers. Michaela Onyenwere scored a career-high 30 points for UCLA. Japreece Dean hit all eight of her free throws and finished with 22 points. Kennedy Burke added 19 points and 11 rebounds. Maryland has made the NCAA Tournament every year since the 2003-04 season except one, when the Terrapins were a WNIT team in 2009-10. The Terps finish the season 29-5, a win shy of their eighth 30-win season in the last 15 years. WTOP’s Rob Woodfork and the Associated Press contributed to this report.